Before a Nation of complex cultural or religious background is formed, there must be a Memorandum Of Understanding(MOU), between the representatives of the indigenous people concerned and mandated by the people to be united. This must trigger a signed and well documented treaty that would give birth to the new nation. 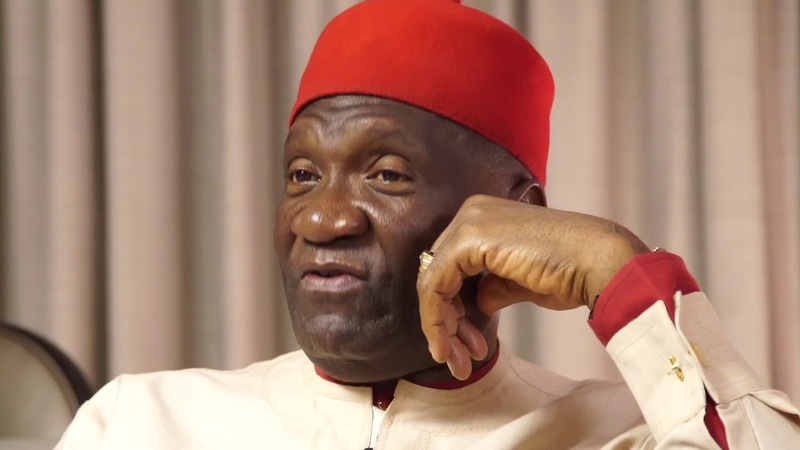 It is on this note that one is prompted to ask: Did Nnia John Nwodo or his Ohaneze Ndigbo group and other South-East politicians, at any point in time partake in any agreement pertaining to the creation or amalgamation of the Nigeria state? Or, can any of them present an evidential document, covering such treaty which was handed over to them presumably by their predecessors? As this men who claim to be elders championing the interest of the Biafran people intensely campaign for a unified Nigeria and perambulates to sabotage the Biafra quest; one with a sane mind would ponder to know how many of them signed the Amalgamation Treaty with Frederick Lugard in 1914. It is very clear to all and sundry that, Doctor Nnamdi Azikiwe of blessed memory was a well known and revered political figure during his time, and by extension, the first ceremonial president of Nigeria. This nationalist was born on the 16th day of November 1904, before the amalgamation of Nigeria. Yet, until his death, he was unable to provide any copy of the memorandum of understanding, between the three Nations that were forced together by the colonists. I will not rule out the fact that, perspicacious individuals are still assuming he hinted the Igbo group headed by Nnia Nwodo, called Ohaneze Ndigbo, about the signatories of the Nigeria heterogeneous entity currently being stitched to unity by the likes of the group. The declarations of the founding political godfathers of Nigeria, attest to the fact that there was no agreement made for the establishment of the heterogenous entity called Nigeria. -- CHIEF OBAFEMI AWOLOWO, who will forever be regarded as the godfather of Yoruba politics, during one of his speeches, had concreted the fact that, there was no mutual agreement in the birth of Nigeria. In his words, he said "Nigeria is a mere geographical expression. There are no Nigerians, as there are 'English', 'Welsh' or 'French'. The word 'Nigerian' is merely a distinctive appellation to distinguish those who live within the boundaries of Nigeria and those who do not". Ditto to the statements of Nigeria political fathers, it is therefore absolutely obvious that Nnia Nwodo and South-East Politicians are juveniles, similar way he referred Nnamdi Kanu and uncountable number of Biafra agitators; hence, he is not a physical signatory or capable of providing prove of evidential signatories to the amalgamation treaty and memorandum of understanding to authenticate Nigeria formation, which is obviously a British invention. On this note, these politicians who only engage in political bazaars in the South-Eastern region of Nigeria and are neophytes in the essence of Nigeria's formation, have no bijou right to stop or speak farcically against the Biafra agitation and IPOB leader, Nnamdi Kanu, who have stoutheartedly taken the step of tracing their originality and embracing their true identities, which is Biafra.